Pen and notebook at the ready, let's go back to school. As we deliver a history lesson about Christopher Columbus' time in Las Palmas de Gran Canaria. Hey, no talking at the back! Not many people know of Christopher Columbus' Canarian stopover in 1492. In fact, the original plan was to sail on to the westerly island of La Gomera where he planned to stock up on food and other supplies. However, after his fleet was sabotaged by his own crew Columbus made an unscheduled stop in LP, a fledgling settlement that had only been founded 14 years earlier following the Spanish conquest of the island. Noted Columbus academic Manuel Rosa explains how important the Mid-Atlantic setting of the islands were. "The Canary Islands were very strategically located for Atlantic sailing, and therefore it was an almost mandatory stop for any voyages heading west or south, "he reveals. "The Canaries were so important for Atlantic exploration that the King of Portugal had already tried to control them around the year 1340 and for those 150 years prior to Colón's (Columbus') voyage, the Portuguese tried with no success to conquer these islands." If you want to know more about Christopher Columbus' time on the island, the Casa de Colón (Columbus House) is an essential visit. In this museum which was actually the residence of Las Palmas' governor who received the explorer there, you can see navigational equipment which was needed to negotiate the treacherous waters of the "Dark Sea", the name given to the Atlantic by seafarers more accustomed to the Mediterranean and North seas. Along with models of the three ships which comprised Columbus' fleet: La Santa María, La Pinta, and La Niña. 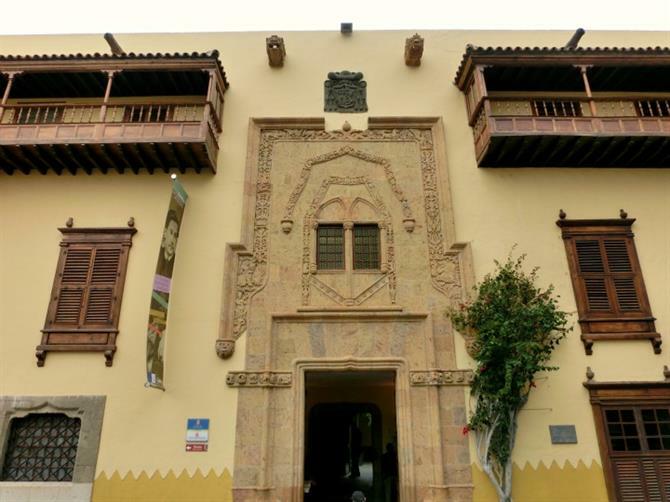 If you will be going on holiday to Gran Canaria and want to visit the Casa de Colón, the standard entrance fee is €4. Opening hours are Monday to Saturday from 10:00am to 6:00pm and from 10:00am to 3:00pm on Sundays and most public holidays. The museum's closed to the public on the 1st January, as well as the 24th, 25th, and 31st of December. 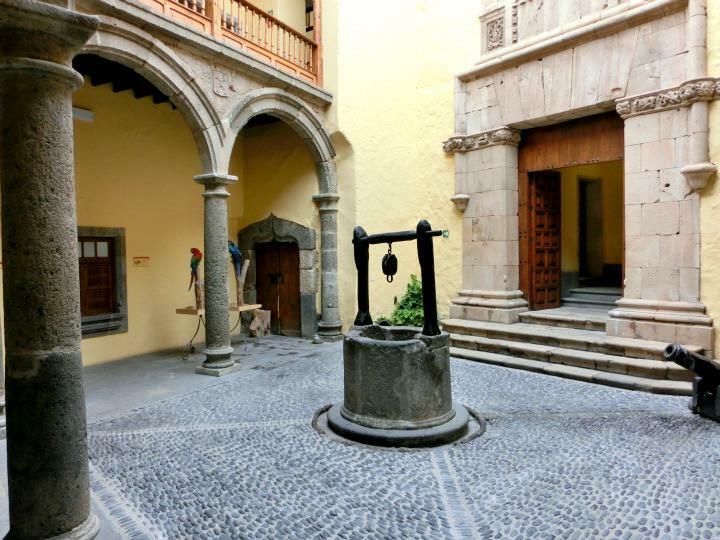 You'll find Casa de Colón in olde-worlde Vegueta. Around the corner is the Hermitage of Saint Antonio Abad. 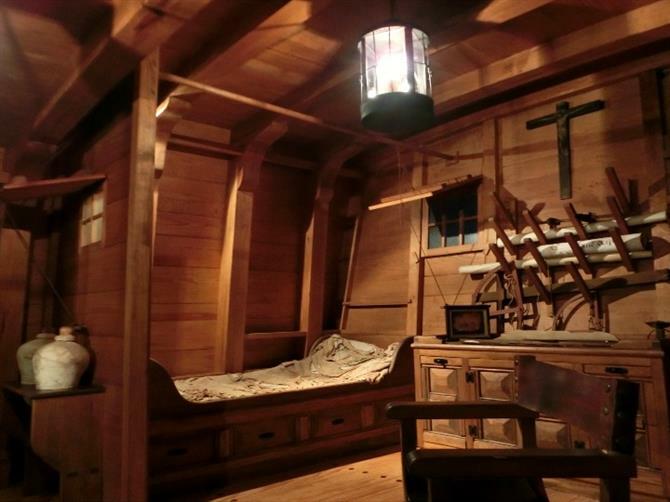 It's here that Columbus is rumoured to have made his last prayer before resuming his journey westwards after a month spent repairing La Pinta. Vegueta's also the base for Trip Gran Canaria which offers walking tours in the area. 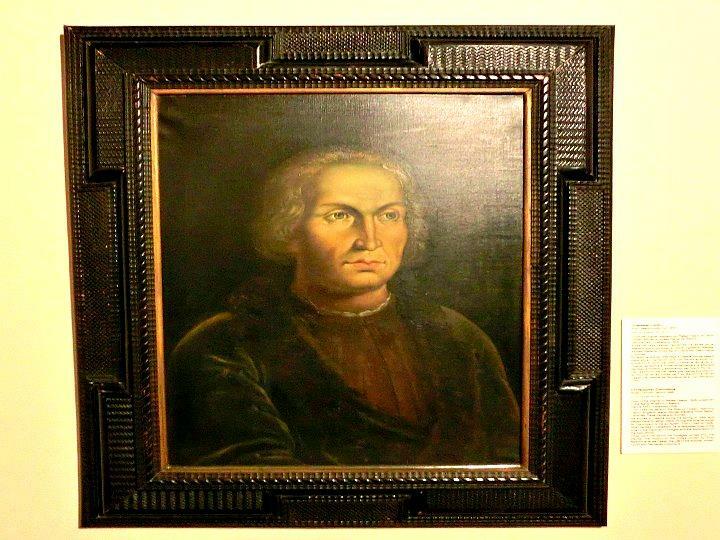 Bruno Knudsen Vizcaino, owner of the company, explains why Columbus went west to go east as his intention was to reach the Indies: "Many sailors had told Columbus how they had found carved wood and thick canes floating from the west." "Similarly, the dwellers of the Azores recounted how when west winds blew, pine trees that did not exist on their islands and even bodies of non-Europeans appeared on the beaches." The Casa de Colón opened its doors to the public in 1954. On the other side of the old main road to the centre of the island, you'll discover Plaza Cairasco which features a Columbus bust dating back to 1892. There's also a monument to Columbus in Maspalomas which the explorer visited on his last westward voyage in 1502. Although experts like Rosa contend that Columbus might not have been all he said he was i.e. the son of a Genoese merchant alllied to the fact the great explorer never actually set foot on the soil of what is now the United States of America, he's still a hero to many Italian-Americans. Men such as Frank Pantuso, president of San Antonio, Texas' Christopher Columbus Italian Society. He offers a wry take on Columbus' maiden voyage: "1) He left the old world, on a trip, and knew not where he was going, 2) He did not know where he was, when he arrived there, and 3) When he returned, he was not able to tell anyone where he had been." No wonder Columbus remains such an enigmatic figure. The Canary Islands has some of the best beaches in the world. We´ve selected ten of our favourites. Which one is yours?